This beautifully colored gin and tonic makes for a perfect Thanksgiving cocktail, although I confess I am perfectly happy to drink these year round. 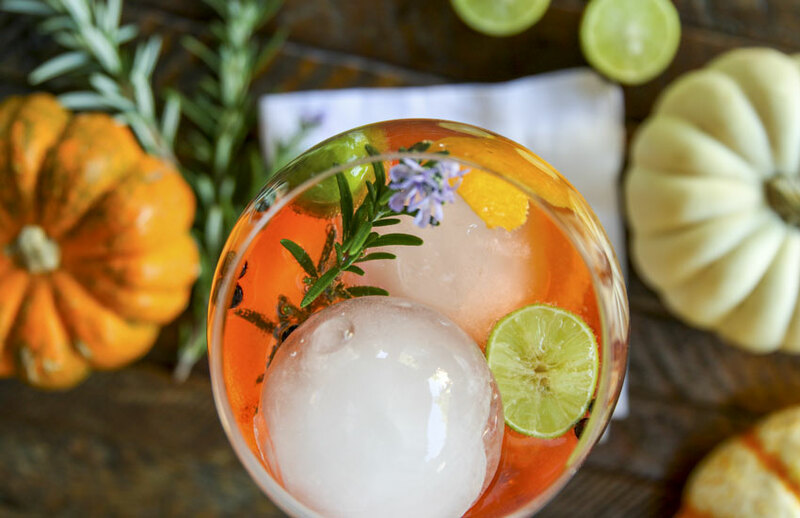 Start with an oversized glass and add two large ice spheres. 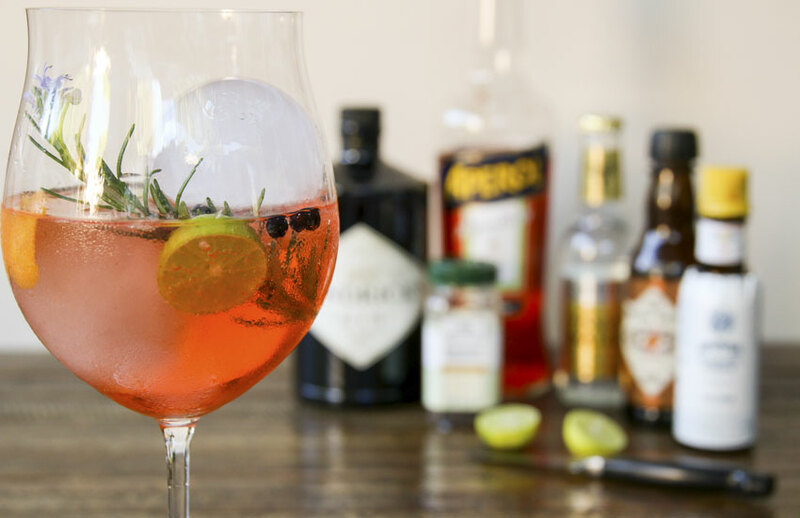 Add gin, Aperol, a half dozen juniper berries, a strip of orange zest, a squeeze of lime, a rosemary sprig, some FeverTree tonic water and a few drops of Orange and Angostura bitters. Perfection! 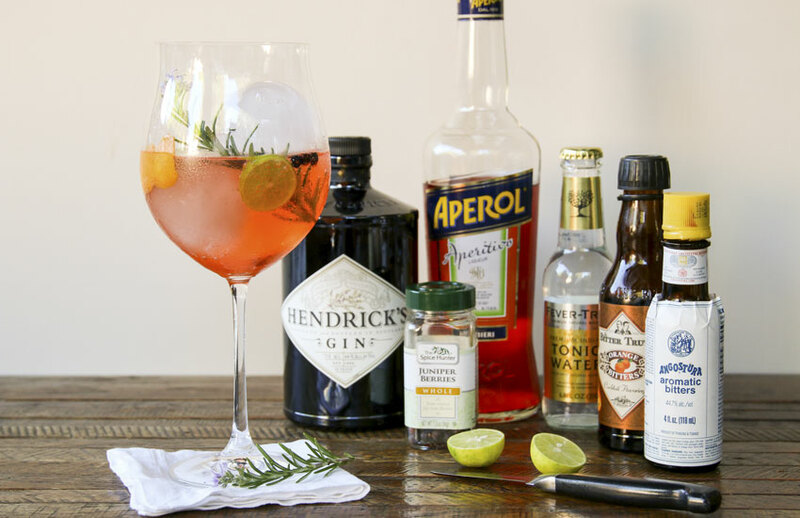 Aperol is an Italian aperitif made with bitter orange, rhubarb and an array of secret herbs, spices and roots. It is similar to Campari, but has a lower alcohol content. 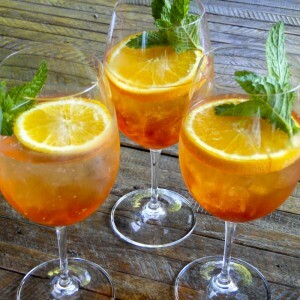 The Aperol Spritz is the quintessential Italian summertime cocktail with its bright orange color brightening every outdoor cafe. We discovered these oversized pinot noir glasses were the perfect glasses for Spanish-style Gin and Tonics on a visit to San Sebastian. The Spaniards really love their gin and tonics and elevate them to an art form. See my post on What Makes Spanish-style Gin and Tonics So Delicious and see how these glasses are used for gin and tonics at our favorite bar, Gintoneria, in San Sebastian. Nachtmann Vivendi is a division of Riedel. 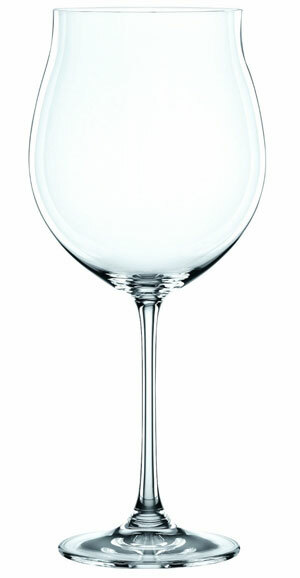 They make these beautiful glasses in a variety of sizes and shapes without the Riedel price tag. The thing about a gin and tonic is it needs to be served icy cold. 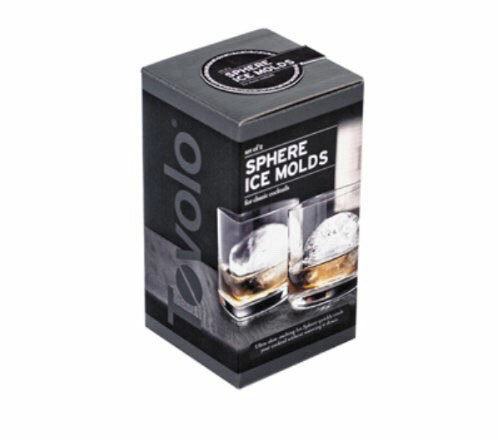 These ice sphere molds by Tovolo make beautiful 2" ice spheres that chill your cocktail without diluting the booze. Juniper berries are the primary flavoring in gin and are a nice addition to a gin and tonic. Not all tonic water is created equal. Most grocery store tonic water is made with corn syrup and artificial flavors. FeverTree makes a clean-tasting tonic made with natural flavors and high quality quinine. Think of bitters as the seasoning for your cocktails. 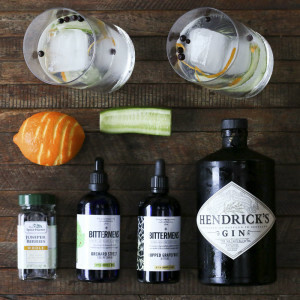 Just as salt, pepper and spices make a difference in your food, bitters really make a difference in your cocktails. 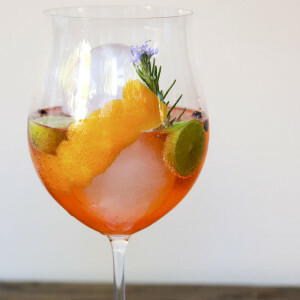 I use Orange bitters and Angostura bitters for this gin and tonic, but I encourage you to experiment with a wide variety. I am partial to cucumber bitters, celery bitters and grapefruit bitters. 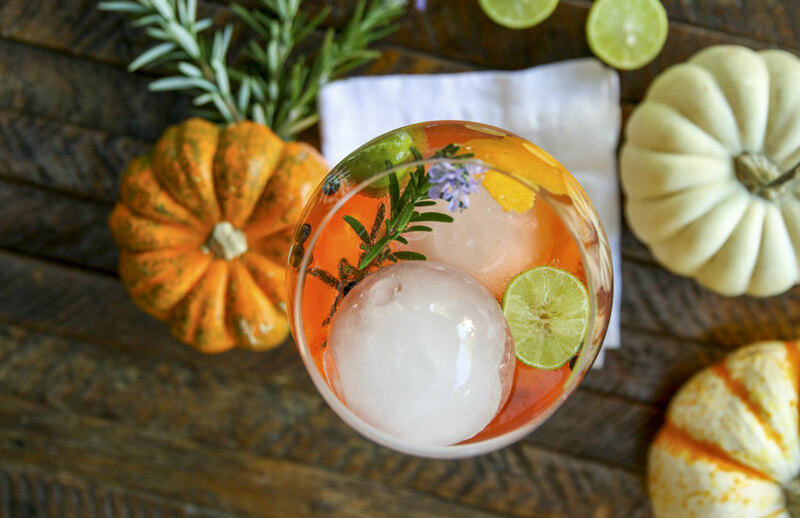 This refreshing and beautiful bright orange cocktail is perfect for Thanksgiving or truly any time of the year. Put two large ice spheres in an oversized glass. Gently pour in the gin and Aperol. Add the juniper berries. Using a paring knife, cut off a strip of orange zest over the glass. Rub the rim of the glass with the zest and put it into the glass. Slowly pour in the tonic water. Finish with a few drops of both orange and Angostura bitters. Garnish with a squeeze of lime and a sprig of rosemary. This is not a sponsored post. I mention products that I personally use and love. We are an Amazon Affiliate and make a small commission on products you purchase through our links. We do appreciate your support when you purchase products through our links. Perfect drink and makes cooking a meal a lot more enjoyable! Thank you Pam! 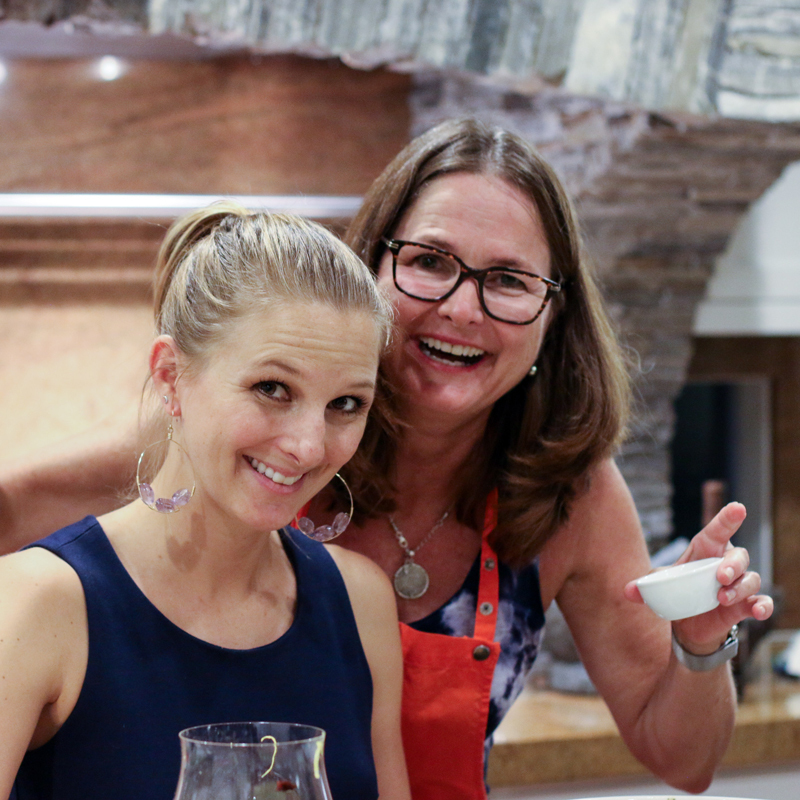 Cooking with friends while drinking these gin and tonics makes cooking even more enjoyable! This is my first post but I am a BIG fan of yours! I made these gorgeous drinks with all the trimmings for Thanksgiving and they were a huge hit…along with your braided bacon turkey…awwwww amazing! Love your website and design too! You are terrific! Great job! I didn’t need to be converted to Gin, and loved this cocktail. It was so refreshing, beautiful and delicious! Your class was awesome. We are still talking about it!